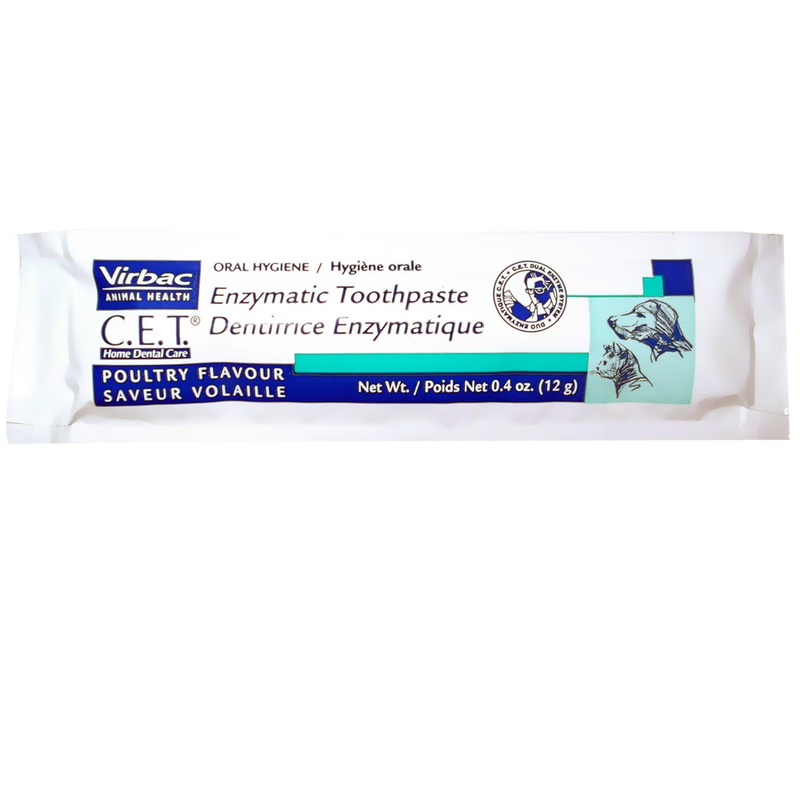 CET Enzymatic Toothpaste Dentifrice Enzymatique Poultry Flavor were developed specifically for cats and dogs, with no-rinse formulas, so that even the busiest owners could easily provide better oral health for their pets. These dual-enzyme formulas contain no foaming agents and are meant to be swallowed. Sorbitol, Purified Water, Dicalcium Phosphate Anyhydrous, Hydrated Silica, Glycerin, Poultry Digest, Dextrose, Xanthan Gum, Titanium Dioxide, Sodium Benzoate, Potassium Thiocyanate, Glucose Oxidase (Aspergillus Niger) and Lactoperoxidase. Immediately flood the eye with plenty of water, holding the eye open. Obtain medical attention if soreness or redness persists. If irritation develops wash skin thoroughly with soap and water. Obtain medical attention if redness or soreness persists. Call a poison control center or doctor immediately for treatment advice. Do not induce vomiting unless told to do so by a poison control center or doctor. 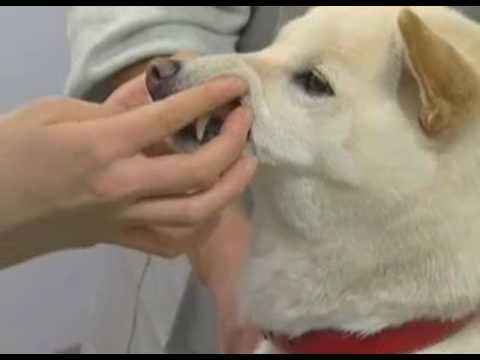 Do not give by mouth to an unconscious person. Remove person to fresh air. Seek medical attention ig symptoms persist. Aside from the information found under description of necessary first aid measures (above) and indication of immediate medical attention and special treatment needed, no additional symptoms and effects are anticipated.